The weather took our breath away...literally. 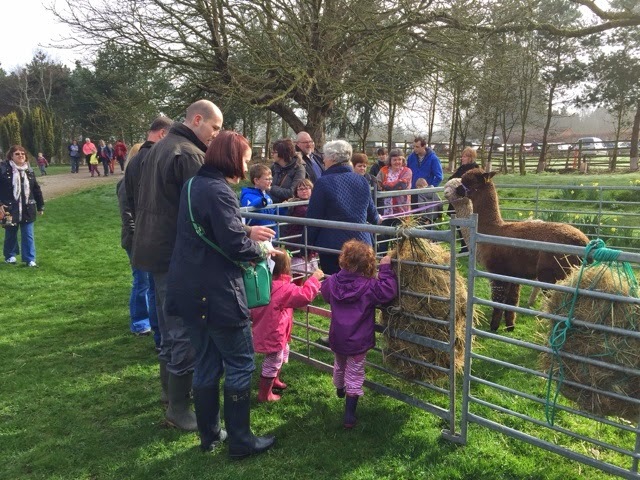 Normally we would expect maybe 800-1000 people a day attending one of our TOFT Alpaca Farm Open Days. Yesterday we had those numbers within the first hour the car parks were full by 11.15 am, the village was rammed, the reservoir was full and it did not slow down at TOFT for most of the morning. Blame the unusual Easter weather, the power of social media, the first really warm day of spring, the uplift in the economy. For whatever reason we were rammed from the start to finish. 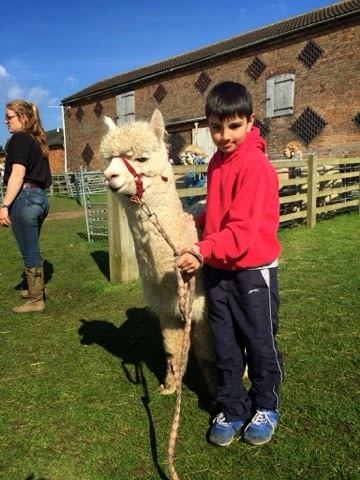 An exceptional Easter Monday was had by all right accross the country and TOFT was no exception. After a quick reshuffle of staff we all grabbed the nettle and rode our new learning curves like professionals. The TOFT family team stepped up to the plate big style, Doug took point on the car park as Uncle Keith and his mate Colin ( who naevely thought he was on holiday) shuffled and organised themasses of cars. Miko, Laura's boyfriend and Scott were at the frontline administering the cars at the end of the lane, coordinating with Doug in the middle who was passing them to Colin and Keith and Auntie Sandra who parked them in an orderly fashion. And so after a hectic 15 mins traffic was soon flowing in an orderly and managed fashion into the four car park fields land out again and remained so for the duration. A huge thanks to Ken and Mary our neighbours who kindly allowed rescued the situation by giving permission for their field to be used as a relief car park. Thanks again we could not have got through it without your kind help. Me? 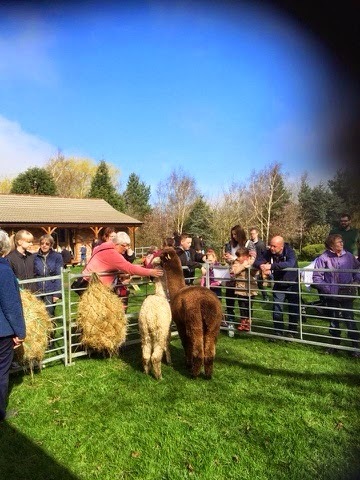 Well I was here there and everywhere around the back of the barn with our herdswomen Linda and Freya as we put maybe five hundred people through the alpaca walking. 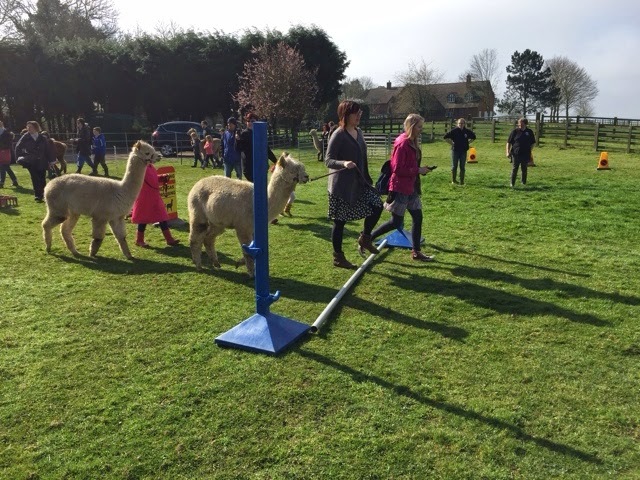 All in all a fantastic effort from TOFT much appreciated by a tolerant and good humoured crowd on a most unusual Easter Monday. 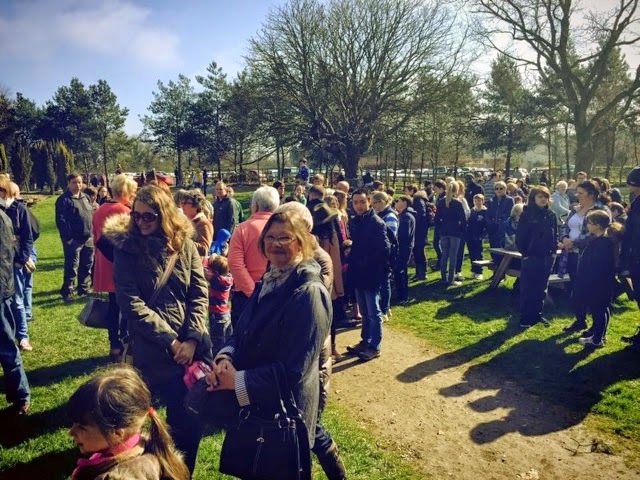 Much thanks to our neighbours for any inconvenience caused but let's remember we have lived at TOFT over 23 years and I can't remember such a glorious Easter Monday weather wise for at least ten years.